Fun With Puzzles Brain Teasers Hidden Objects Games Observation Test Picture Puzzles Puzzles Puzzles for Adults Can you find Hidden Face in Puzzle Picture? Can you find Hidden Face in Puzzle Picture? This is very interesting Hidden Face Picture Puzzle. In this Puzzle Image there is one hidden face. You may have to shake your head or move backward and forward to see this hidden face. This is going to test your observational skills. 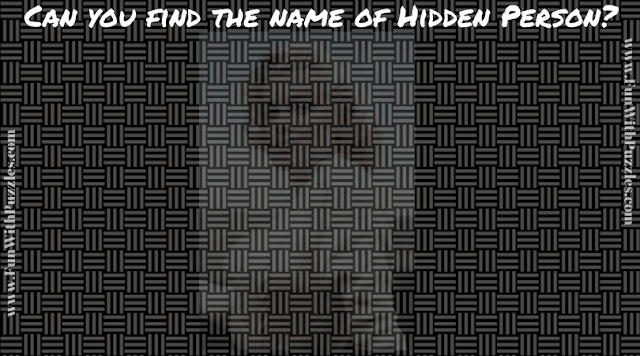 So can you find the name of the hidden person? Can you name the person whose face is hidden? The Answer is Marilyn Monroe. Check Out Can you find the hidden faces in Pictures?